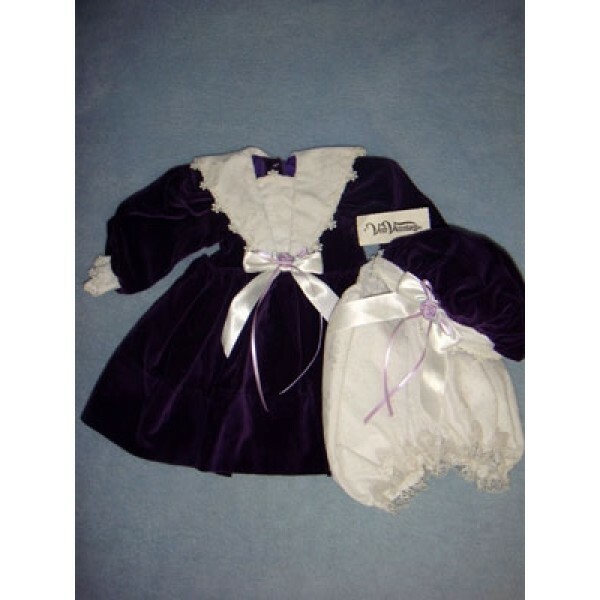 Vee's Victorian Long-Sleeved Purple Velvet Dress w/white lace collar & cuffs and lavender ribbon rose & lavender & white ribbons. Two buttons fasten down the back of the dress. Complete with a matching hat and white lace bloomers. This beautiful dress was designed for a 20" display doll. One available.